Brazil and Colombia. Wow, now I look at it myself, not a bad score. tell you more, for now start listening to this happy music. tropical dance music, fantastic stuff you don’t want to miss. An oldie but goodie so to say, do you know where I went ? 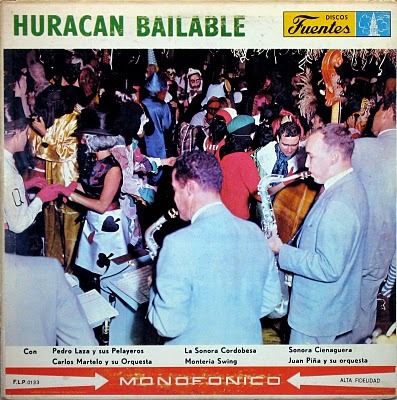 This entry was posted in Colombia, Fandango, Gaita, Mapalé, Paseaíto, Porro, Pupalé, Puyanga by Moos. Bookmark the permalink. Can’t wait to hear all these great new records – especially the stuff from Haiti! Keep up the fantastic work! Woo! looking forward to goodies to come. A 5 hour trip must be Le Havre in France 😉 can’t wait for freshly digged treasures ! Demain Franck…where’s that? A record collectors dream by the sound of it. Thanks for continuing to share your good luck. Great old school merengues! Thanks. Thanks guys, hey Jimmy, what a great picture of the African man with his piles of singles, wow.. I hope you’ll find the time to post these new albums.